The middle book of the trilogy, Conspirata encompasses Cicero’s life during his Consulship and the subsequent fall out from the Catiline Conspiracy. Through the voice of Tiro, the uber secretary, the author continues an excellent reading experience chock full of history enhanced with intrigue and emotion. Cicero rides a stormy sea as he vacillates between victories, doubt, and a surprising predilection to turn his fears into heroic acts. The characters ring true, from the pompous (Catalus, Hortensius), to the pretentious power seekers (Pompey, Crassus) and a unremitting, ruthless Caesar. It had been quite a while between my reading of Imperium and Conspirata. I predict that it won’t be as long before I start the final volume, Dictator. 4.8 stars & The Hoover Book Review’s coveted “It’s a Good One, Boys & Girls” award. When one looks back at the history of Rome during this period that saw the ushering in of the end of the Roman Republic, one cannot help but be amazed at the number of so many pivotal characters; Marius, Sulla, Cicero,Crassus, Pompey and waiting in the wings, Gaius Julius. No wonder that this period gets so much attention from authors, however, it takes a good author to take on a character that has been portrayed by many different authors, in many different ways. Robert Allen Johnson has done just that in this series on Gnaeus Pompey Magnus. He has given us a Pompey that is more human, more prone to doubt and yet more determined to succeed. In the second installment, Triumphator, Pompey begins to grow, becomes less rash and more calculating and to some, more dangerous. 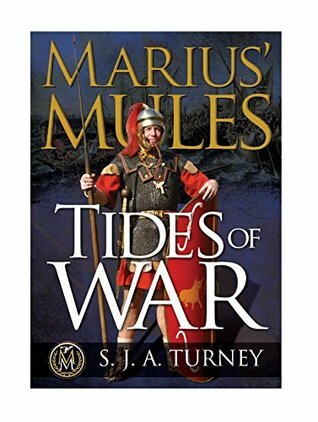 The author has created a work that rings true, a page turning delight that has one almost hoping that this version of Pompey will see through Caesar’s ambition and bests him in the end…almost. 4.8 stars and Hoover Book Review’s Seal of Approval. Can’t wait for book three.